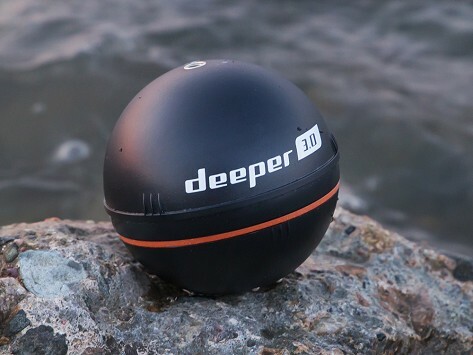 This castable, Bluetooth-enabled fish finder is designed to go anywhere, sending images and information about the waters below straight to your phone or tablet. See water depth, location and size of fish, the contour of the waterbed, forecasts and more. Dimensions: Finder Sphere: 2.5" D; Box: 5.91" x 5.91" x 2.95"
Bought two and sent two back. They don't hold a charge. Rechargeable from a car or any USB port, Deeper is easy to bring anywhere. Easily connect it to iOS and Android devices via the free Deeper app, which is filled with features any angler will appreciate. With Deeper, the fisherman in your life will see the sport in a new, smarter light.